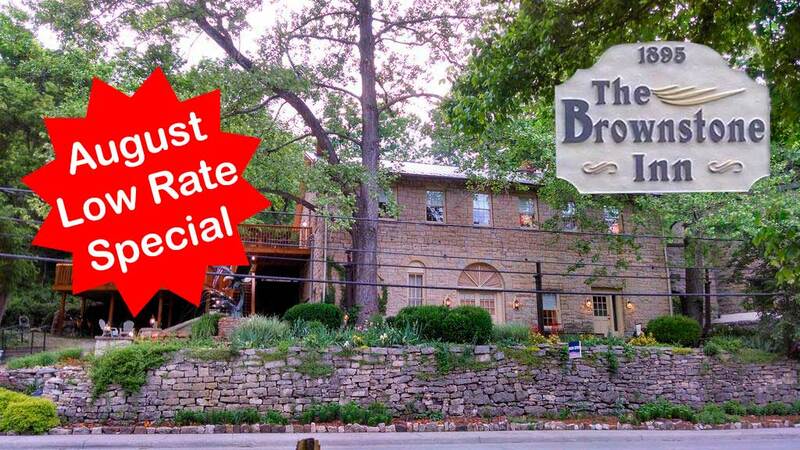 Ozark Mountain Vacation Rental is offering a Low Rate Lodging Special for selective suites @ Brownstone Inn, in Eureka Springs. The Brownstone Inn invites you to take a step back in time with this gorgeous old limestone building where you can enjoy the culture of Eureka Springs while remaining off the beaten path. Nestled in a cool valley, The Brownstone Inn offers peace and tranquility with each of our five luxury suites. The two large suites on the upper floor open onto the new spacious and elevated wooden deck, with abundant sitting areas. The deck alone will provide you a memorable experience, unique to The Brownstone Inn, and deserves sharing with someone special. 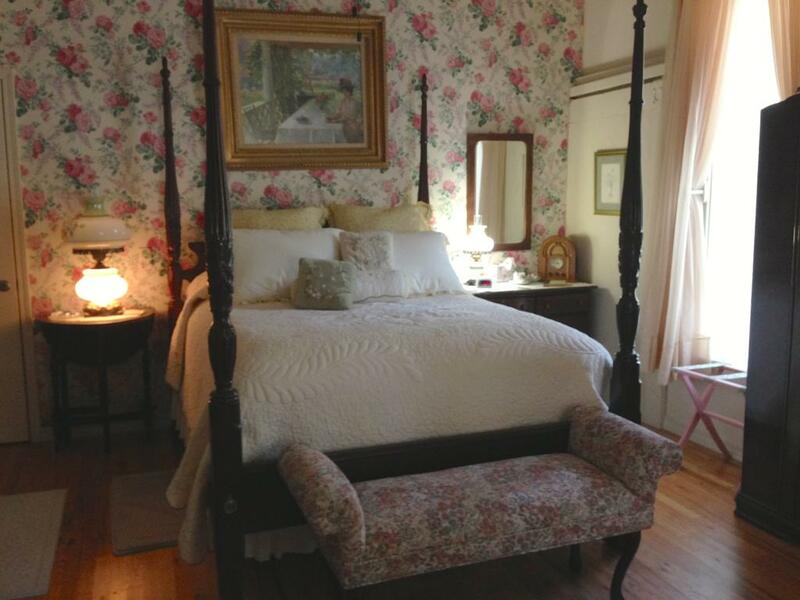 This cozy suite has beautiful antique furniture, and bright, natural morning light. The Queen bed has a plush pillow top mattress and super soft sheets for memorable comfort. The sitting area provides ample space for reading, relaxing, or enjoying refreshments. The 13′ ceiling gives a nostalgic and spacious feel. You’ll notice new hardwood floors, as part of the recent renovations, add lasting beauty. The Ozarka Spring Suite is the premier two room suite. 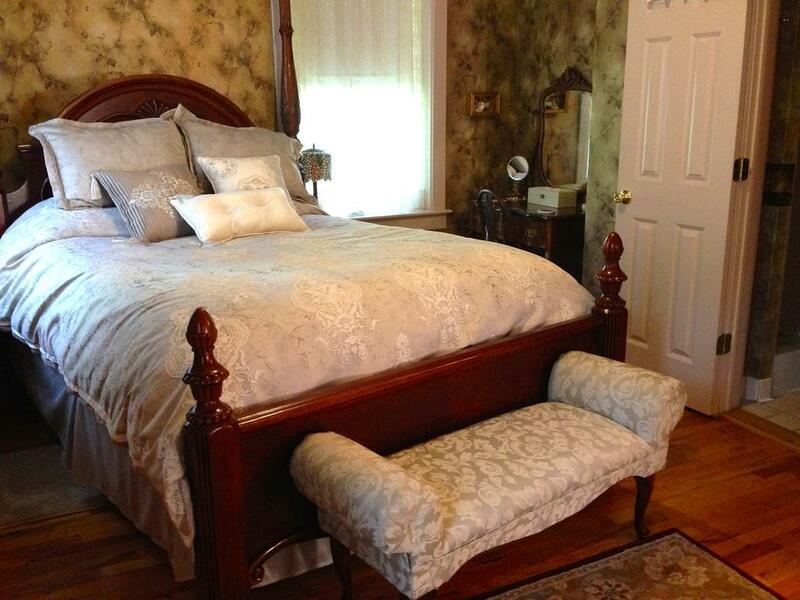 It is furnished with wonderful Victorian antique furniture, including a Queen size bed with plush pillow top mattress and luxuriously soft sheets. The Spring Suite has a large comfortable two person jacuzzi in the bedroom; a separate double shower is in the private bath. The sitting room is cozy and has room to relax. Opening onto a corner of the upper deck, this is the perfect place to enjoy the mountain air and beautiful surroundings with someone special.